I finally found an Ultrabook from HP, Envy 4-1117nr Sleekbook. 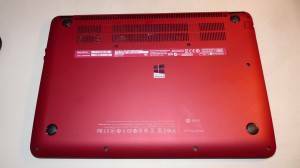 It’s a very nice little 14″ Windows 8.1 laptop with i5-3317u 1.7Ghz with turbo boost to 2.6 Ghz, but HP bios limit the turbo to 2.4 Ghz. 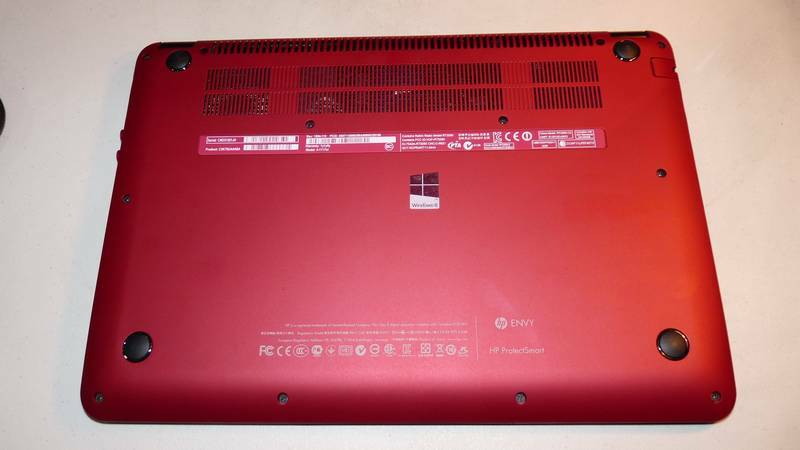 This one has the same specs as the Envy 4-1130us, although I don’t see many of these Envy 4-1117nr on the market. I think not many people really care about the ATI 760G graphic card built in, the one I bought doesn’t have ATI 760G card, just the internal HD4000 graphic chip from Intel which is a plus because I can install Ubuntu Linux, Mac OSX Mountain Lion and Mavericks without a problem. The main reason I preferred this Sleekbook over others is the back lit keyboard, I don’t know how I can use the keyboard in the dark for so many years and I don’t know why other companies don’t include it in their ultrabook either, it’s only a $30 option. It does last about 4 hours with normal use and all day with sleeps/wakes and other usages. It sure beats the heavy 17″ Lenovo G770 i5-2410 I have in both weight and performance. The USB 3.0 ports are lightning fast with both Windows 8.1 and Mavericks. It only came with 4 Gb ram and 500 Gb hard drive, I add a 4 Gb module ($32) and replaced the hard drive with 1 TB Toshiba 9.5mm from the external USB I bought a while back. Now I’m really happy with an Ultrabook running with 3 operating systems, Windows 8.1, Mac OSX Mavericks and Linux Ubuntu. 2013-10-30 Wow, it’s been a year and I haven’t pulled the trigger for any ultra book yet. Now, Intel new CPU Haswell came out with longer battery life that before. I’m still looking for the cpu model that supported by the Apple people because I do like to install Mountain Lion or Maverick on mine. There is a list of CPUs and chipsets built with Apple‘s laptop. List of Intel Graphics Series. 2013-01-19 I haven’t found the need to get one ultimate Ultrabook yet. Thanks to the new half finished, thought out Windows 8, I don’t think I’m going to get any laptop soon since all of the new PCs now are stuffed with this horrible Windows 8. I still want i5 3rd Generation, backlit keyboard, matte screen, USB3.0, 13.3-14″, 8-9 hours battery, less than 3.5lbs, Windows 7 and Mountain Lion. Since the Mac Book Air, thin, light and functional came out, the Intel Laptop world is trying to compete with Apple with Ultrabooks. I’m thinking about getting one for myself and later for my daughter if it lasts that long (it’s better and more practical than ipads or Android pads). I’ve been reading about the ultrabooks and I sum it up with all the important stuff for me. When one is on sale with a reasonable price, then I’ll pull the trigger. 1. Screen 13.3″ or 14″: I want matte screen so I can use outside without the glossy glare to my eyes (I believe only Samsung offered them at the moment). 2. Hard drive: Ok, this will add weight to the unit, but I do want 500GB minimum on mine and SSD to boot up faster (the bigger the merrier 32GB or 128GB). 3. Light and thin of course, less than 3.5lbs is desirable. 4. 3rd generation Intel i5 Ivy bridge HD4000, this will result in longer time between charges with the same battery. Series 2 now are cheaper. 5. Widi: so I can connect to TV for the whole family when using Face Time or Skype or video calling. 6. Ethernet, HDMI, Bluetooth, USB3.0, USB2.0 ports and capabilities. 7. Wifi dual-band (2.4 and 5 Ghz) by company like Atheros, Broadcom for Mac support (because I will install Lion or Mountain Lion on mine, my Mac book air). 8. Battery charger brick should be small (Samsung) instead of these big heavy ones, battery should last at least 7 hours with full video playing, this is for traveling on airplane. 9.2012-10-12 Toshiba has back lit keyboard display which is great. The prices as we speak for series 3 i5 is about $800 with 500GB right now. If I can think of something else, I’ll add until I get the my complete ultimate Ultrabook.